Sound Transit’s 3-mile, $1.8 billion tunnel will connect Husky Stadium to Capitol Hill and Westlake Station and to the existing 16 miles of track to Seattle-Tacoma International Airport. Passenger service on the new University Link light-rail extension will begin March 19. Sound Transit’s 3-mile, $1.8 billion tunnel will connect Husky Stadium to Capitol Hill and Westlake Station and, equally important, to the existing 16 miles of track stretching south to SeaTac. Will you ride University Link? Do you plan to ride the new Link light rail extension? Fill out a reader survey and let us know how it will change the way you travel around the city. Read some of the responses from readers here. Transit-board Chairman Dow Constantine made the schedule announcement Tuesday at Capitol Hill Station, where workers are finishing the final sign installations; electronic-systems testing continues along the trackway. Celebrations are planned for opening weekend, though no decision has yet been made whether to offer free rides as the agency did in July 2009, when the initial Westlake-Rainier Valley-Tukwila line opened. Inside the underground stop, a mobile made of sliced pink fighter jets will hang above the boarding platforms. At the surface, plans are under way for mixed-use development and community markets, built over the station lid. 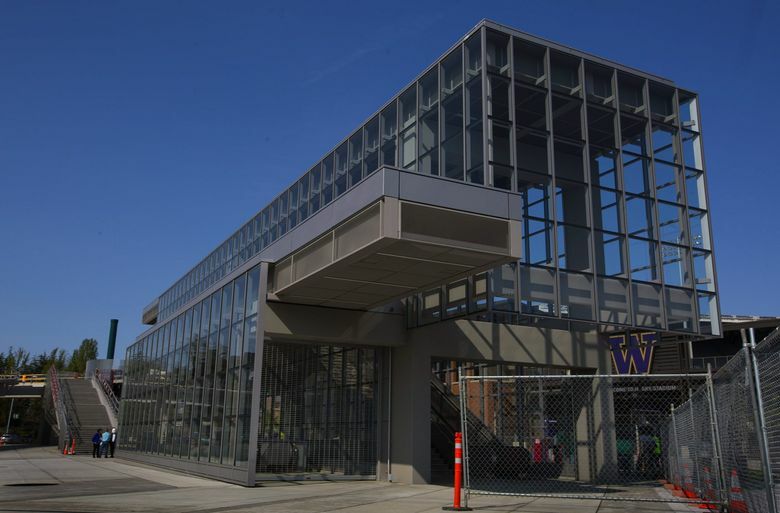 A typical train ride from the south University of Washington campus to downtown will take eight minutes. These two new stations, plus the Angle Lake park-and-ride station opening this fall in SeaTac, are supposed to add about 45,000 daily passengers by 2021, for a total 80,000 in a 21-mile corridor. So in terms of public users, this year’s Link launch is arguably the biggest transportation advance in Seattle since 1989, when the Homer Hadley floating bridge was added to the I-90 corridor across Lake Washington. Mayor Ed Murray said he’s lived on Capitol Hill for 32 years and thinks the tens of thousands of people using the station will help revitalize Broadway’s business and restaurant district. “It’s going to be a major, positive turning point for the densest neighborhood north of San Francisco,” he said. U-Link construction is currently $150 million under budget and six months ahead of schedule, said agency CEO Peter Rogoff. Supporters will point to the early opening as an argument for voters to increase their taxes in a Sound Transit 3 expansion measure this November. However, longtime residents will recall that in the original Sound Move ballot measure of 1996, local politicians pledged train service to the hill and university by 2006. In addition, high construction risks forced the agency to eliminate a First Hill station. The agency instead funded a connecting city streetcar, mixed with slow general traffic, that opened Saturday. The U-Link transit extension will be followed by the April opening of car traffic over the new floating section of the Highway 520 bridge.